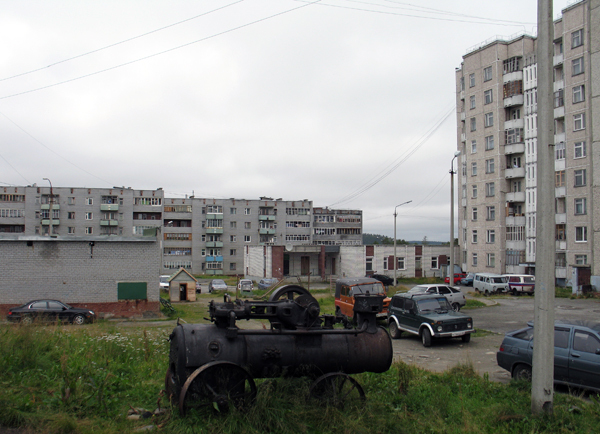 In August 2009 we visited Kola Peninsula. Apparently the report came with a considerable delay but hope it will be interesting. We went to russia by train from Warsaw, what took 2 days. During our 3 weeks long trip we explored an alcalic magmatic rocks Lovozero Massif. It is about 25 km wide, there are no roads for cars and it is nessesary to go everywhere on foot bringing a tent, food, all other staff (hammer, pickaxe etc.) and, of course, found speciments on a back! 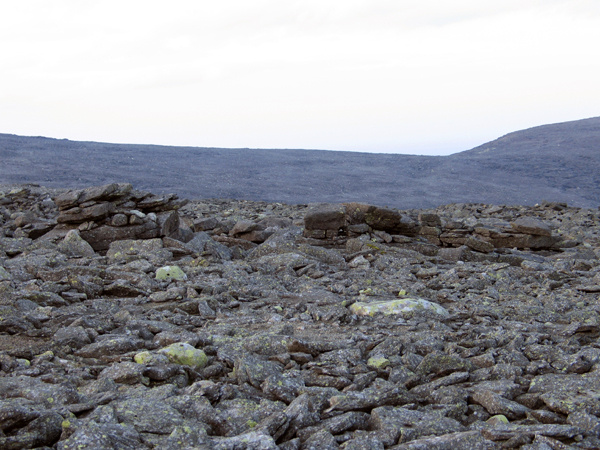 During our stay at the Kola Peninsula we had 3 trips to the mountains, 5 days long each. 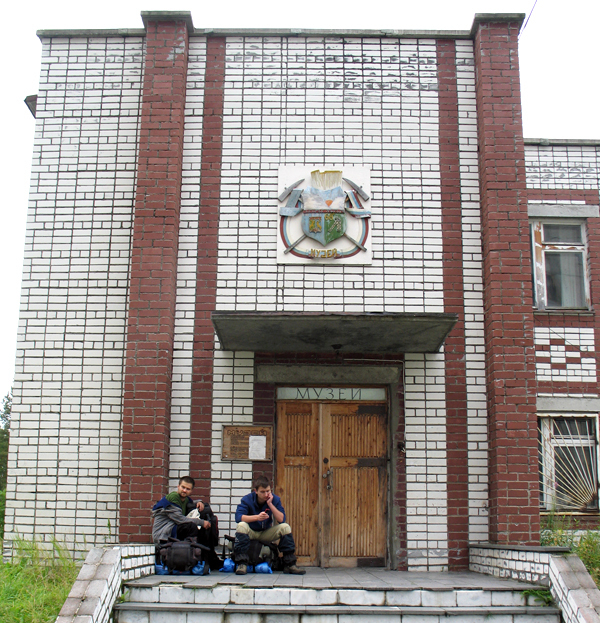 Each time we started from and came back to Revda, the only town near Lovozero Massif, located 5 km to the north from it. 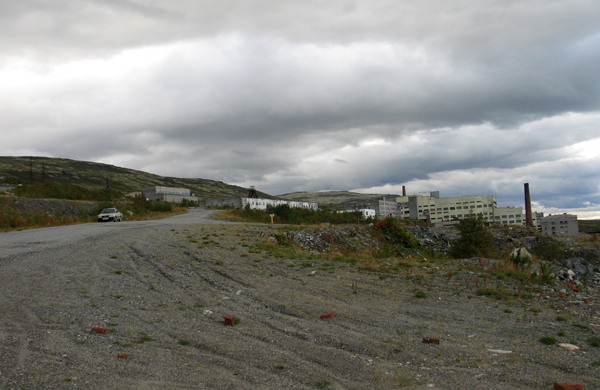 There are shops and one hotel in Revda so it is possible to supply in food and rest there. The fall begins at Kola Paninsula in August. The temperature during day is 10-15 Celsius degrees, during night 5-10. The most positive side of traveling in this time is the lack of mosquitoes that make life there a real hell. 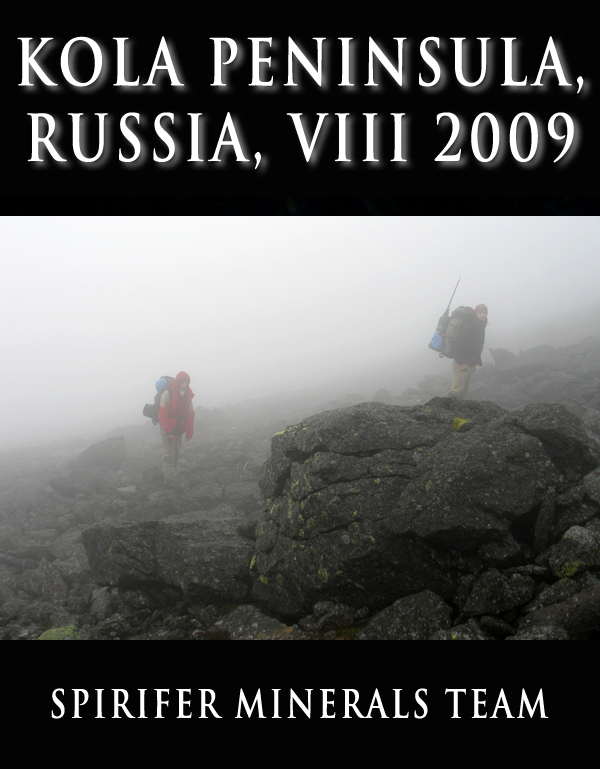 In August there were some rainfalls and dense fog lasting for a few days which made trekking extremly difficult, but such conditions can also occure at any other time in the year. 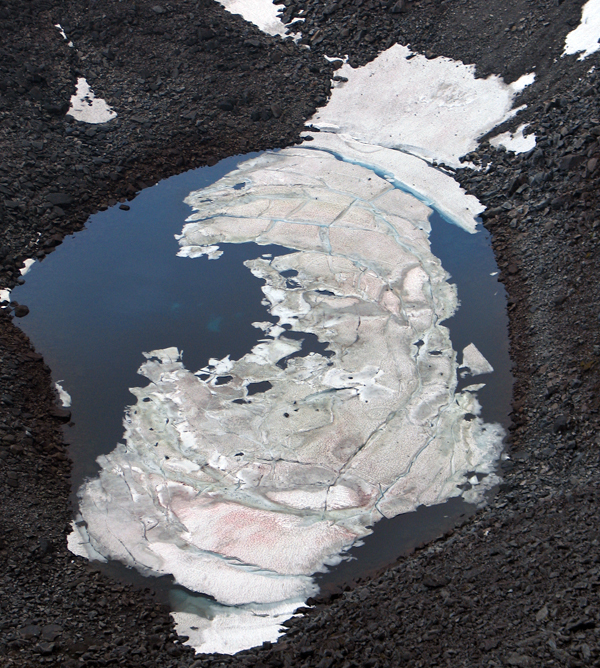 The Lovozero massif was shaped by glaciers. It is over 1000 m high Massif and furrowed with U-shaped valleys, serveral glacial amphitheatres are present. In the central part of the Massif a big lake – Seidozero occurs. 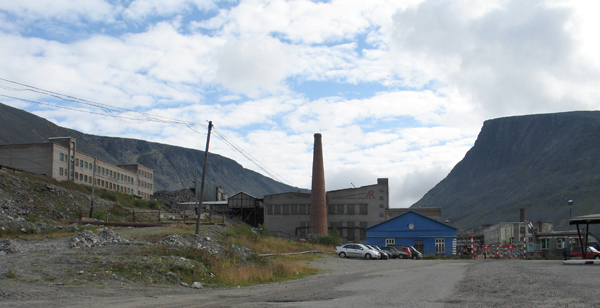 It is possible to get from Revda to the slopes of the Massif by bus that drives miners to the only nowadays working mine called Karnasurt. This is the rare earth elements (REE) mine (Ta, Nb). 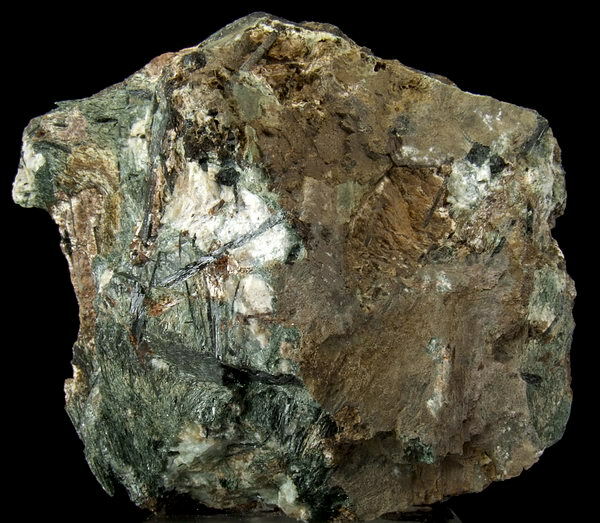 The main ore exploited here is loparite. A few pegmatite bodies were described from the mine but they occur very rare. After visiting not really interesting Karnasurt mine dumps we started our trip to the Kedykverpakhk Mountain, located between glacial amphitheatres Cirque Eastern Raslak and Ilmaiok River. 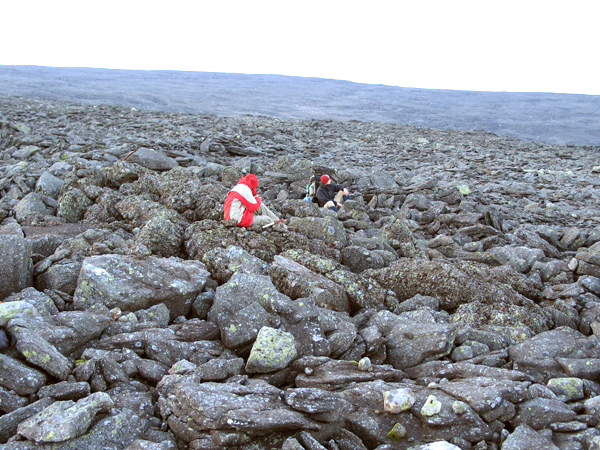 On the north slopes of the Kedykverpakhk pieces of pegmatites may be found frequently. In a short time we found pegmatite bodies in situ. They are dozens of centimeters to several meters big and consist mainly of feldspar and aegirine with eudialyte, lomonosovite, lorenzenite, murmanite, lamprophyllite and natrolite in the centre. When we were on Kedykverpakhk the weather got worse and worse. 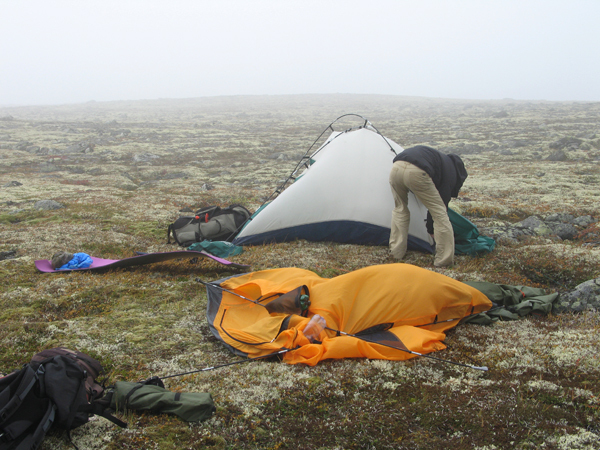 After 2 days that we had to spend in the tents we decided to go back to Revda. 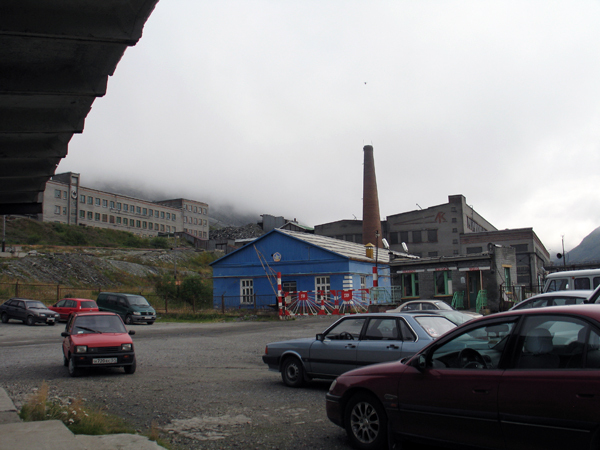 We started the second trip with visit in the Umbozero mine a few days later. It is possible to get there by taxi from Revda. 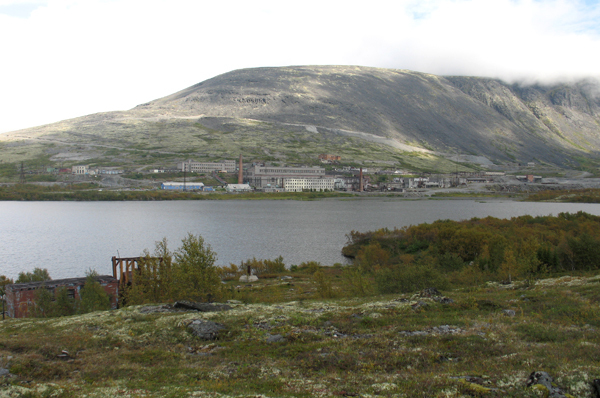 The Umbozero mine is located in the NW part of the Lovozero Massif and was closed in 1998. It is flooded so the speciments can be found only at the dumps. 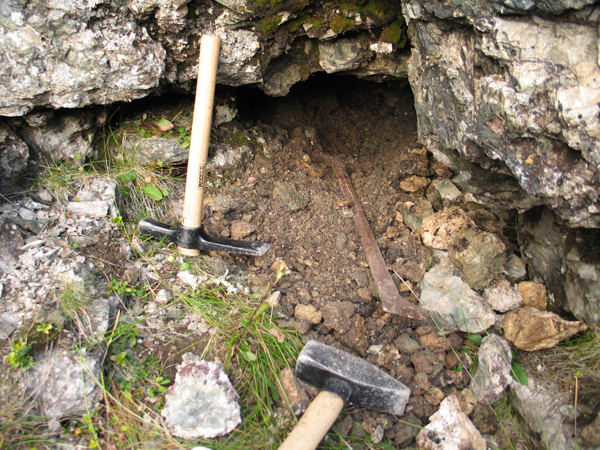 When the mine was working several big pegmatite bodies were found. 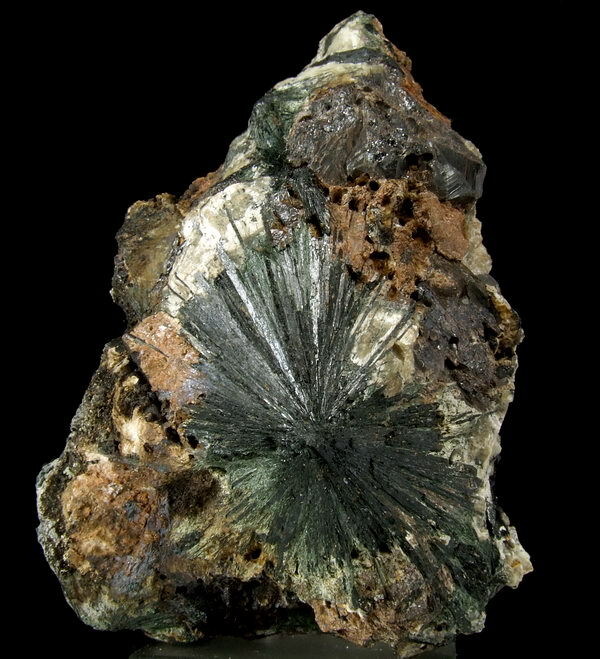 One of the most famous was Shkatulka with shkatulkaite and umbozerite - minerals that were described for the first time from there. 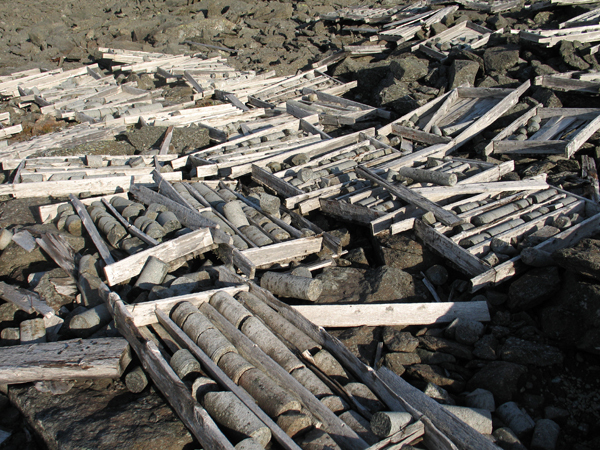 The pieces of pegmatites are easy to find at the dumps. 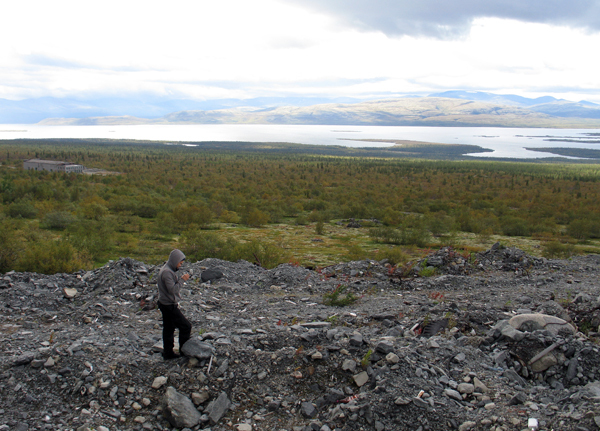 We spent a few hour there and found lorenzenite, eudyalite, mangan-neptunite and lamprophyllite stars. From the Umbozero Mine we went to the Alluaiv Mountain. 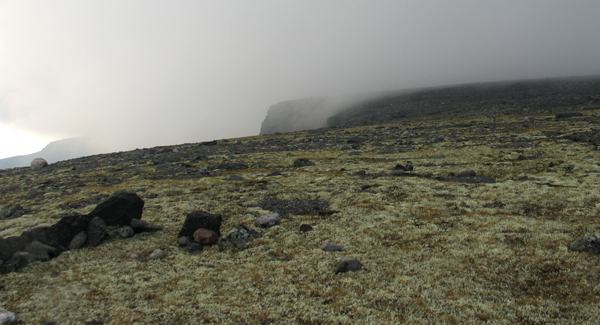 When crossing this foggy mountain we found several pegmatite bodies composed mainly of feldspar and eudialyte. 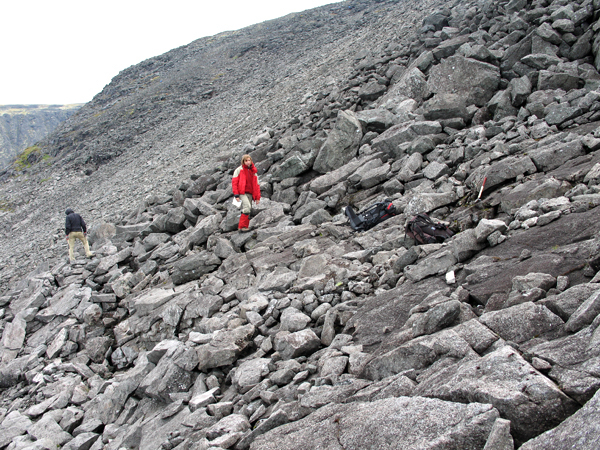 Then passing “The geologists col” we achieved the Kedykverpakhk mountain. 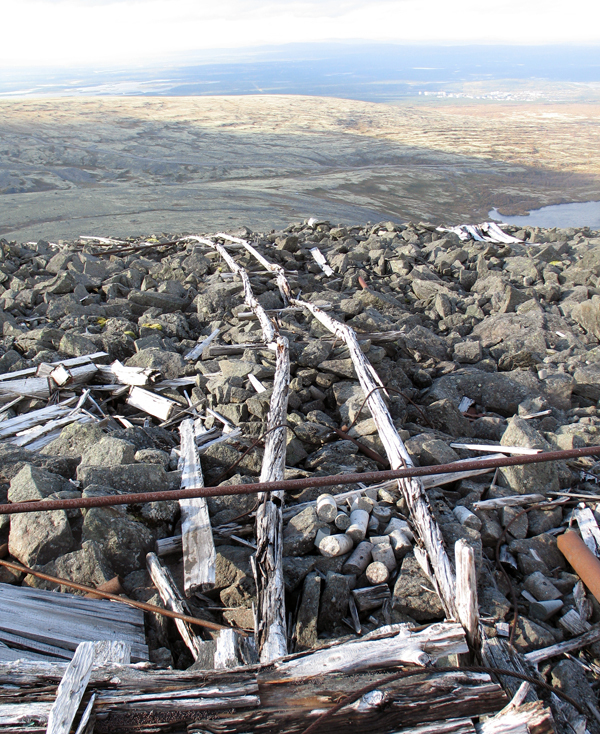 A pick of Kedykverpakhk is covered with stone run originated in frost weathering. Within blocks pieces of pegmatites can be seen. They form sometimes groups being “exits” of pegmatite bodies lying beneath. Mineralogical composition of these pegmatites is similar to the ones that occur in the Kedykverpakhk`s northern slopes. Living Kedykverpakhk mountain we entered a valley of Tyulbnyunuai River. The gorge is shallow in it`s beginning with patches of snow lying on the banks. 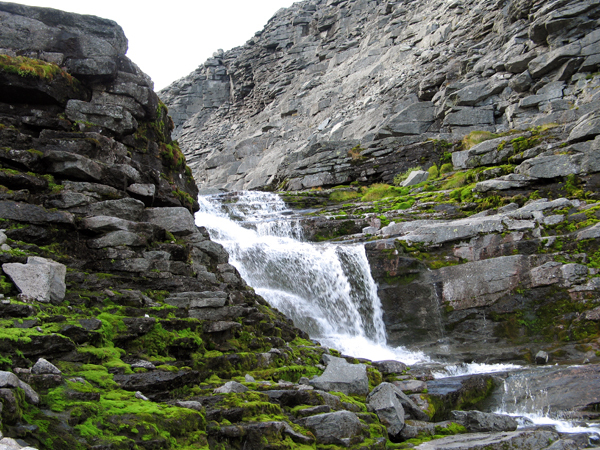 After several hundreds meters the valley starts getting deeper and deeper and waterfalls become frequent. This part of the valley is strongly experienced by recent erosion. We saw a lot of rock falls exposing new pegmatites. Thanks to the recent processes it is often possible to see the “fresh”, unweathered surfaces of the pegmatites. Our attention was riveted by the several meters thick, horizontally bedded pegmatite. Significant mineralogical stratification with aegirine zone at the bottom changing to eudialyte zone and feldspar zone at the very top, with aegirine and murmanite, could be easilly seen. Not far from this interesting pegmatite we found another one. 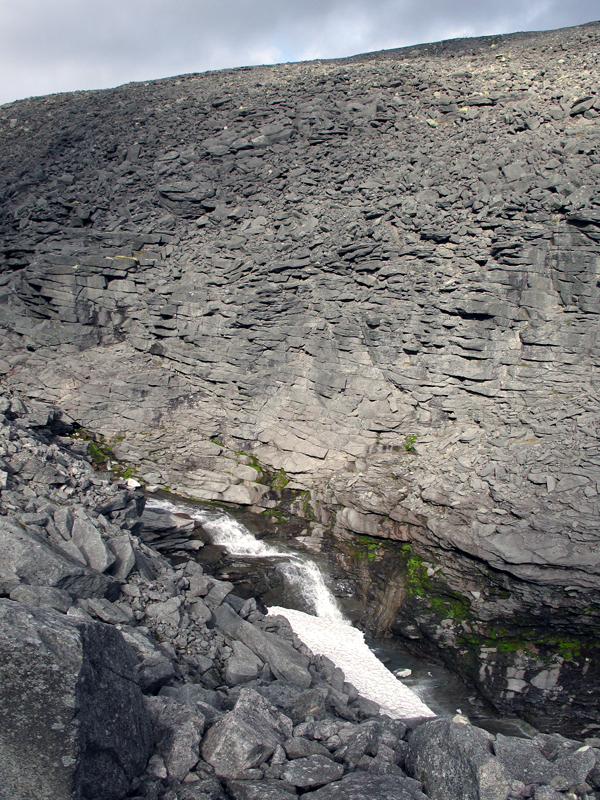 It was about 35m thick and similar, according to it`s mineralogical composition, to those occurring in the Kedykverpakhk Mountain. 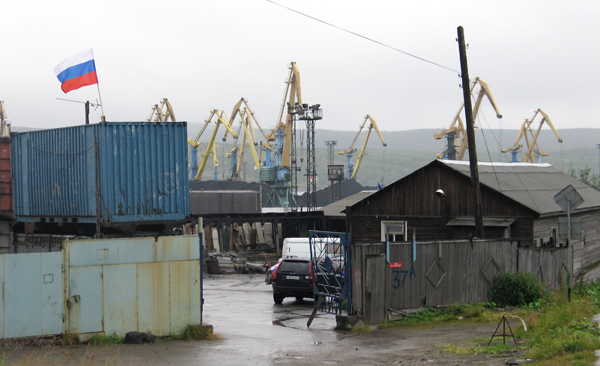 Signs of intensive exploitation left by Russian geologists were clearly seen. We found a coin from 1936 there. The zones in the central part of the pegmatite composed of a yellow-brown clay were particularly intersting. The clay is a product of decomposition of minerals that are unstable in epigenic conditions. Within the clay ca. 15 cm in diameter spheres made of egiryne stars were present. 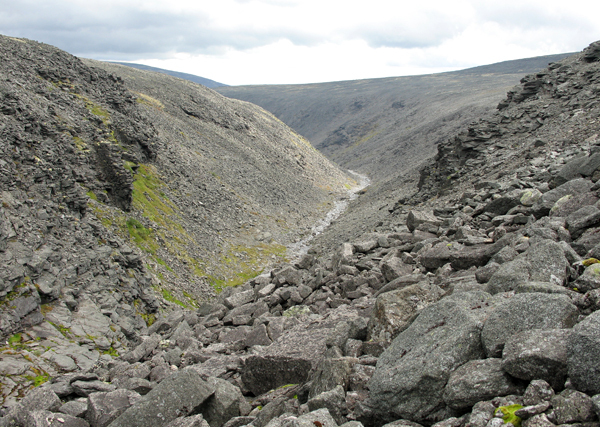 The final part of the Tyulbnyunuai gorge is a typical postglacial U-shaped valley. In this part of the valley at the very top of the left slope appears pegmatite No. 13, Medvezh`ya Berloga (Bears Den). 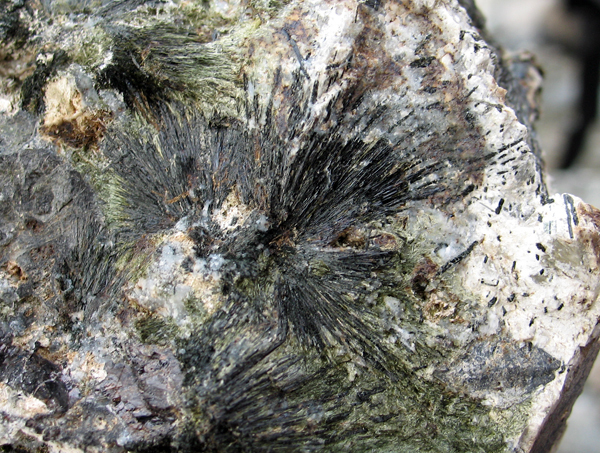 Belyankinite mineral was described for the first time there. It is found as big plaques being psedomorphose after lomonosovite. 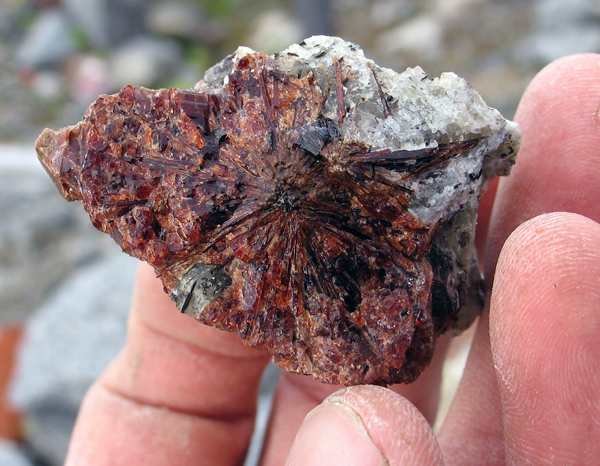 External parts of the pegmatite are composed of eudialyte and aegririne stars. From the camp located at the mouth of the river we made one day trip to the central part of Lovozero massif and the Seidozero lake. A trail leads through tajga to the lake along the torrent. 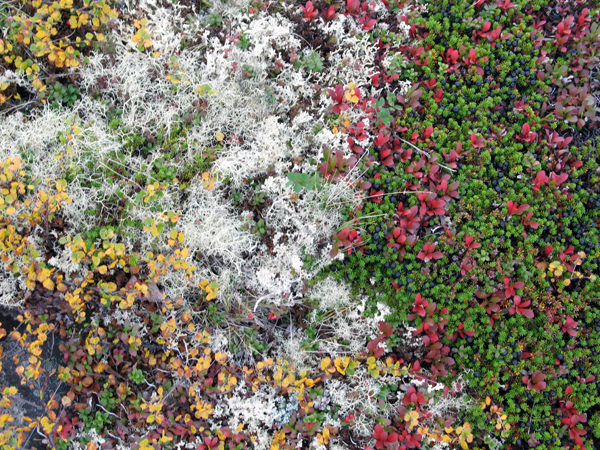 Just before the lake a lot of marshes appear with delicious bilberries and cloudberries. At the Seidozero lake we met for the first time a group of tourists. They were not geologists but told us about pegmatites they occasionally found during their excursion and amazonite veins in a neighborhood of Lovozero massif. Our third trip was to Karnasurt and Flora mountains. 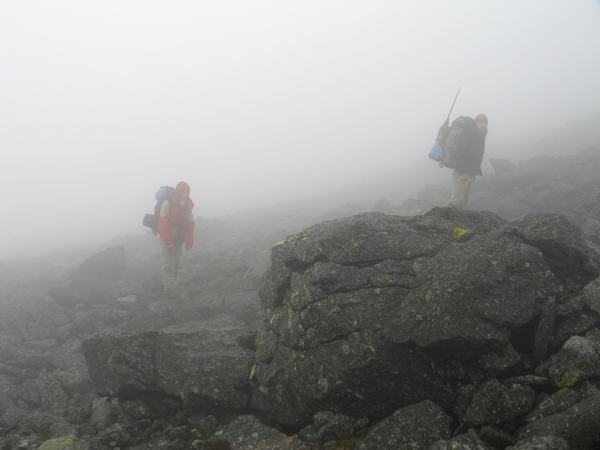 We had to stop our search for pegmatites on the northern slopes of Karnasurt mountain due to a dens fog and strong rainfall. We waited in our tents for two days hoping the weather would change, but actually it did not. So we decided to descend beneath cloud base. We crossed glacial amphiteatre located betwen Karnasurt and Selsurt mountains and went to the Flora Mountain (this term means northern slopes of Selsurt mountain). Flora is famous for the biggest and most beautiful lorenzenite crystals. 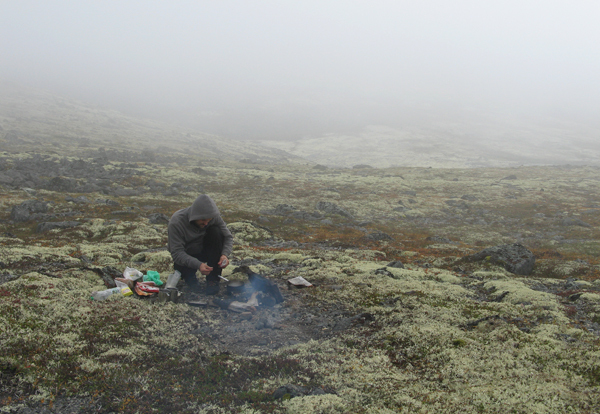 The lack of detailed locality and forest composed of dwarf birches caused that we spent whole day searching lorenzenite outcrops in torrents of rain. The outcrops were given away by small holes and dumps. The interesting zone is 120 m long and several meters wide lying at the contact parts of Lovozero Massif with the host rock. It is a metasomatic zone composed of black, monomineral – aegirine rocks with zones made of automorphic lorenzenite, eudialyte and murmanite crystals. Lorenzenite is very frequent here but taking it out from hard egiryne rock is very difficult. 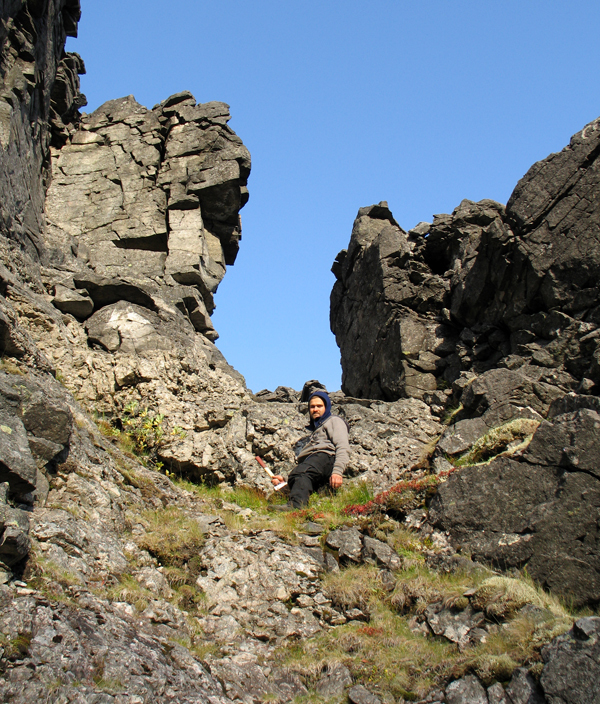 Last day at Kola Peninsula we decided to spend in Khibina Massif. To get there we went to Apatity city by train then to Kirovsk by taxi and then on foot along Yuksporr valley in direction of mines and mine dumps. 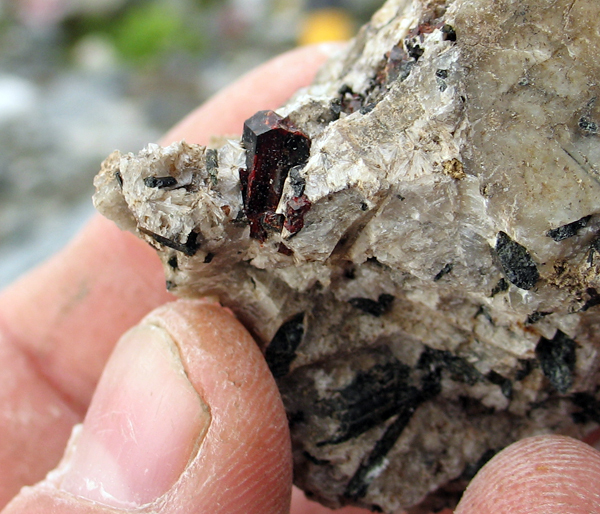 At the dumps we found apatite ore (was exploited there) and red veins of eudialyte. We left Kola Peninsula with really heavy back-packs! See Kola specimens for sale in our store. 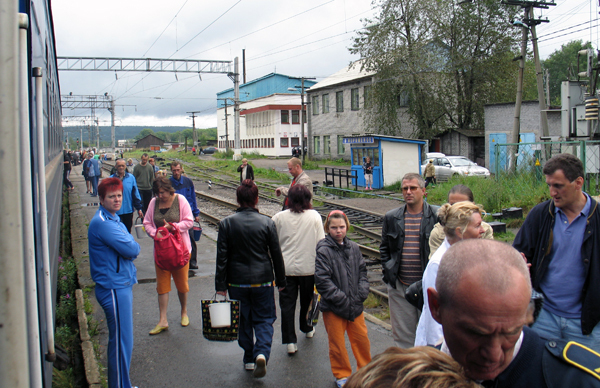 Railway station on the way to Murmansk. Fot. A. Leszczuk. 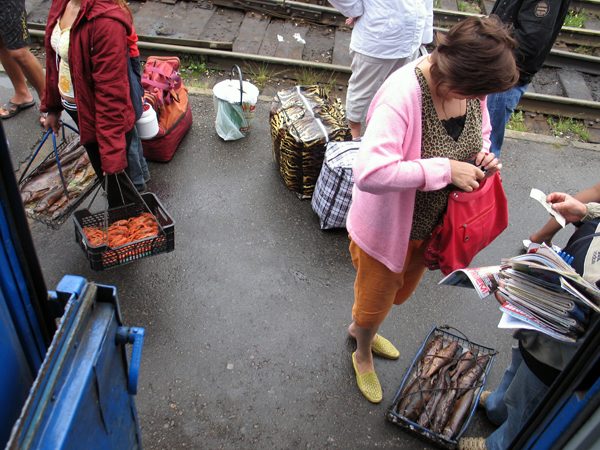 It is possible to buy regional delicacies at the station. Fot. K. Dembicz. 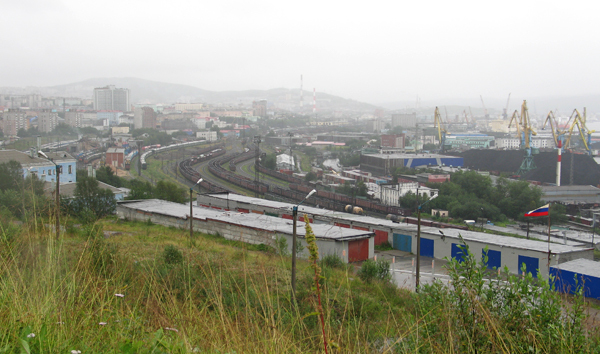 View to Murmansk. Fot. A. Leszczuk. Geological museum in Revda. Fot. A. Leszczuk. Karnasurt mine and Kedykverpakhk mountain (on the right side of the photo), Lovozero Massif. Karnasurt mine. Fot. A. Leszczuk. Viev to the Karnasurt mine and Karnasurt mountain. Fot. K. Dembicz. 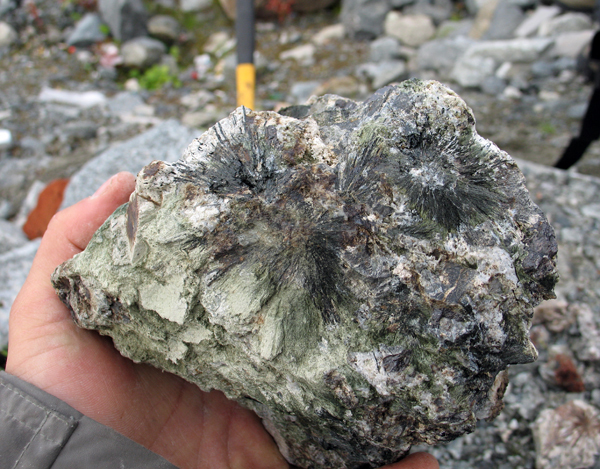 REE ore with small loparite crystals, exploited in the Karnasurt mine. Fot. K. Dembicz. 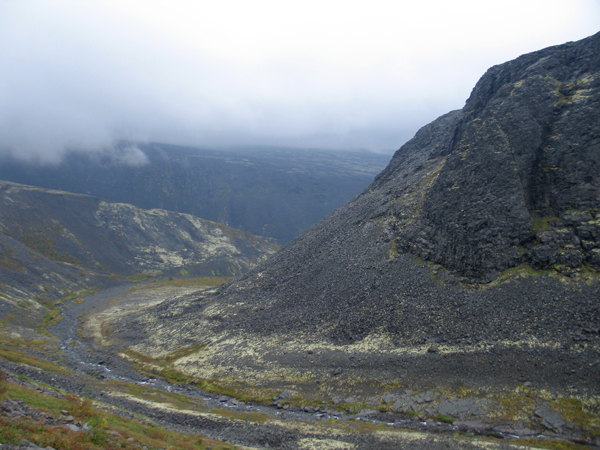 The northern slopes of the Kedykverpakhk mountain keep under wrap frequent pegmatite bodies. Fot. K. Dembicz. 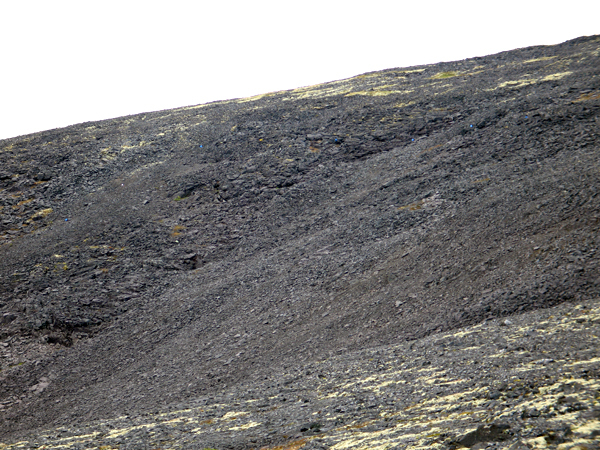 The area on the northern slopes of the Kedykverpakhk mountainh with pegmatite bodies. 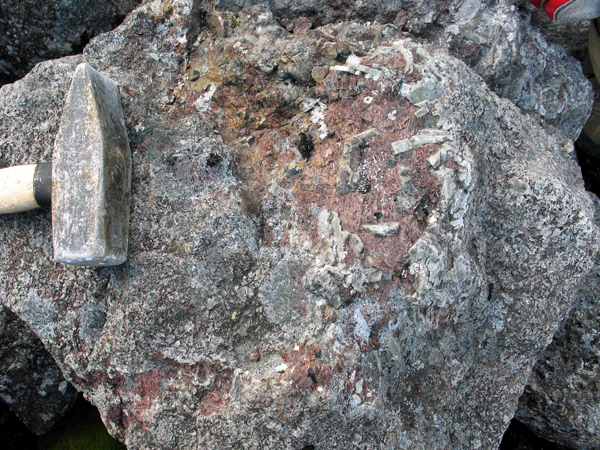 Small pegmatite body, Kedykverpakhk mountain. Fot. K. Dembicz. 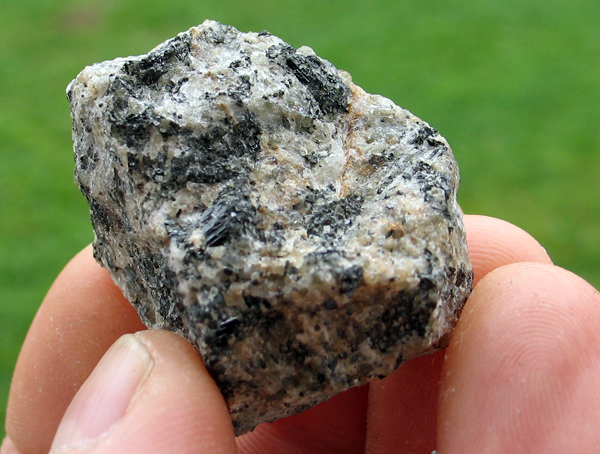 Small pegmatite with eudialith, Kedykverpakhk mountain. Fot. K. Dembicz. Big pegmatite body, 23x2m, Kedykverpakhk mountain. Fot. K. Dembicz. 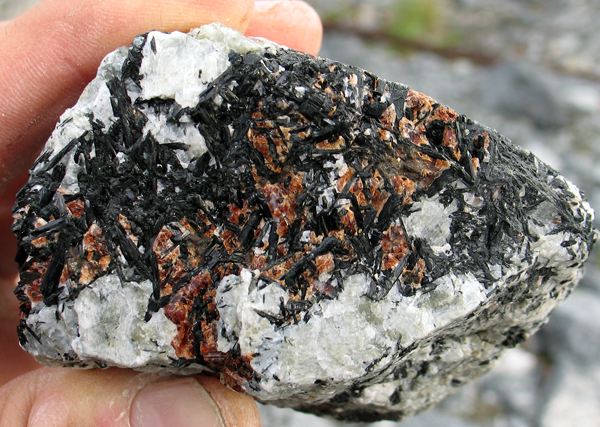 Pegmatite with big aegirine crystals, eudialyte, laprophyllite and lomonosovite. Kedykverpakhk mountain. Fot. K. Dembicz. 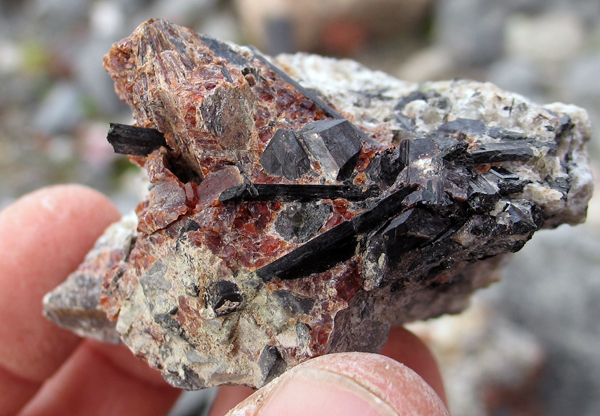 Aegirine star with eudialyte and lorenzenite, Kedykverpakhk mountain. Fot. G. BIjak. 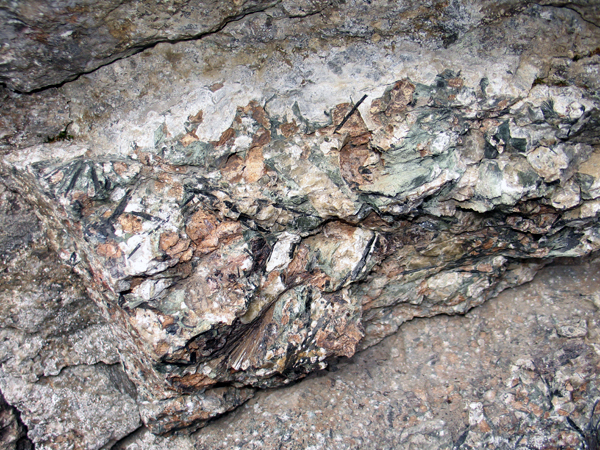 Lomonosovite (brown) within the aegirine (green), Kedykverpakhk mountain. Fot. G. Bijak. 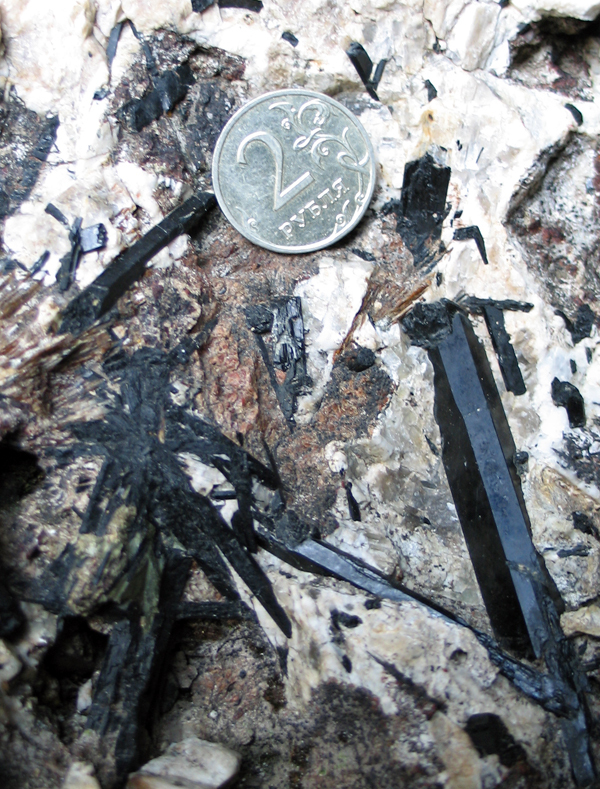 Lamprophyllite/aegirine stars, Kedykverpakhk Mt. Fot. G. Bijak. 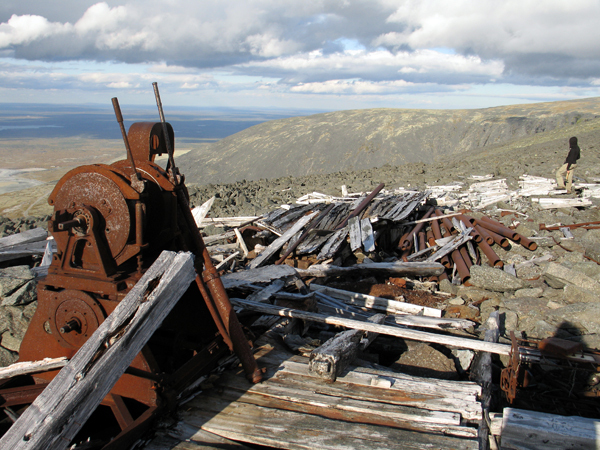 Remains of the geological station built by the Russians in 50., Kedykverpakhk mountain. 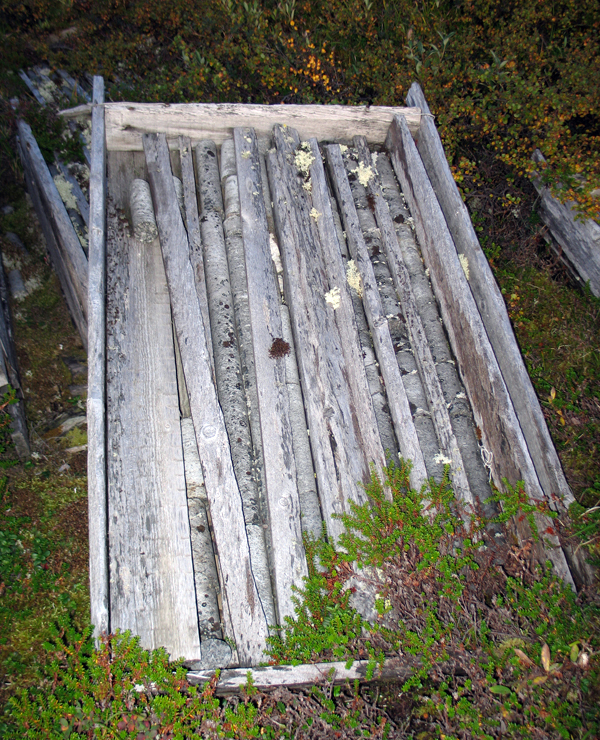 Drill cores left in the geological station, Kedykverpakhk mountain. Fot. K. Dembicz. Closed mine Umbozero and it`s dumps (NW Lovozero). Fot. K. Dembicz. View from Umbozero mine to Umbozero lake and northern slopes of Khibiny Massif. 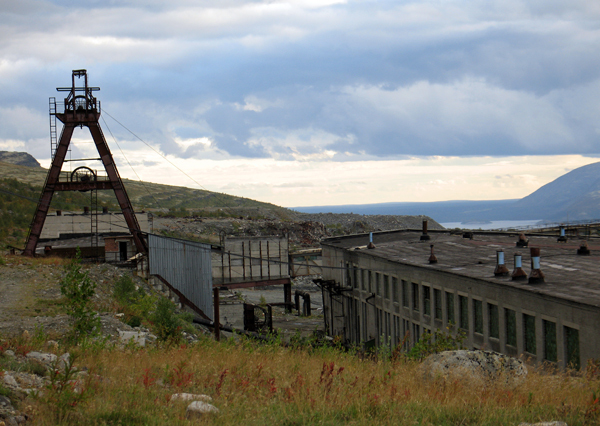 Pithead of the Umbozero mine. Fot. K. Dembicz. Umbozero mine dumps. Fot. A. Leszczuk. 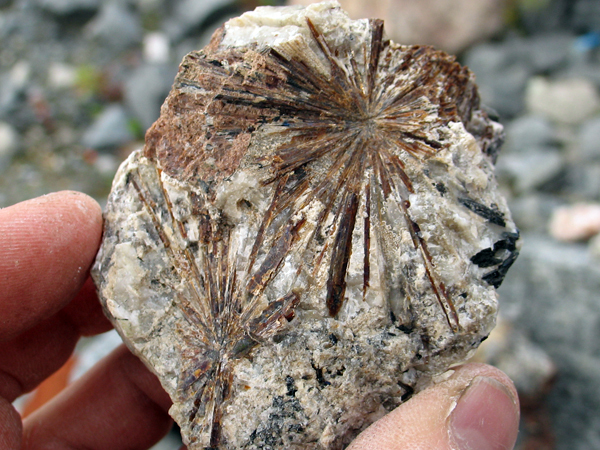 A piece of pegmatite with aegirine stars, Umbozero mine dumps. Fot. K. Dembicz. Aegirine, Ubmozero mine dumps. Fot. K. Dembicz. 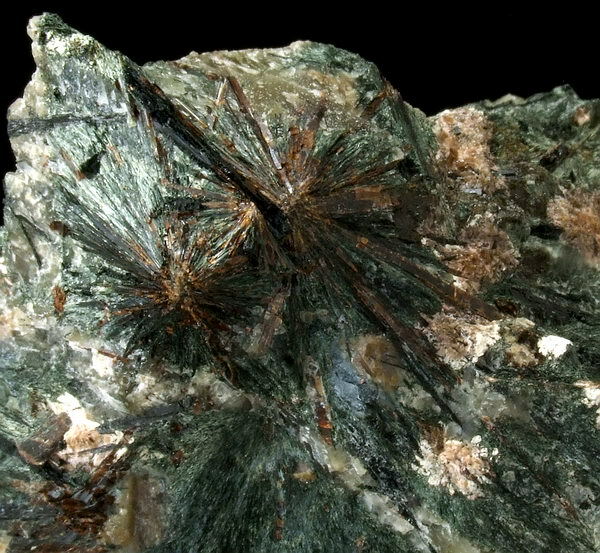 Lamprophyllite stars, Umbozero mine dumps. Fot. K. Dembicz. 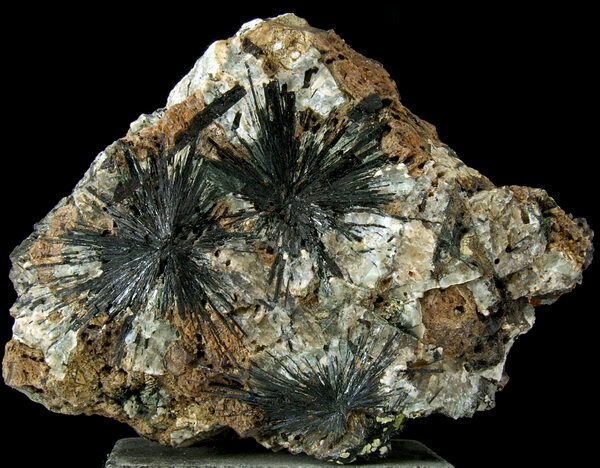 Mangan-neptunite, Umbozero mine dumps. Fot. K. Dembicz. Lorenzenite and aegirine in eudialyte, Umbozero mine dumps. Fot. K. Dembicz. Lamrophyllite in eudialyte, Umbozero mine dumps. Fot. K. Dembicz. 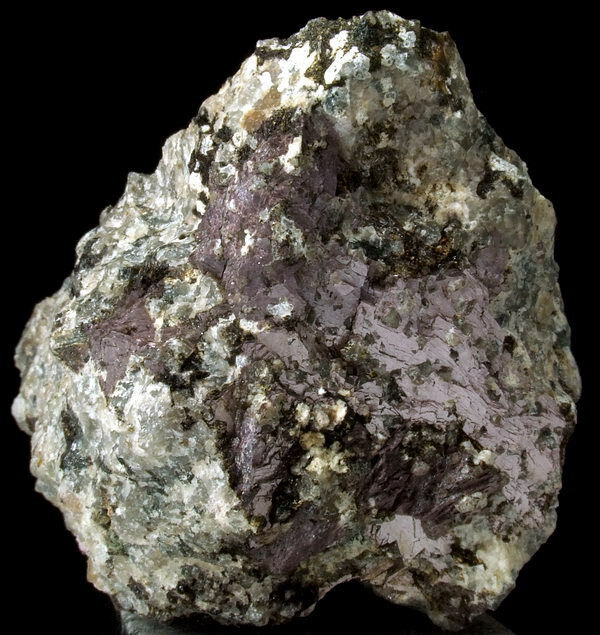 Pegmatite with aegirine and eudialyte, Umbozero mine dumps. Fot. K. Dembicz. 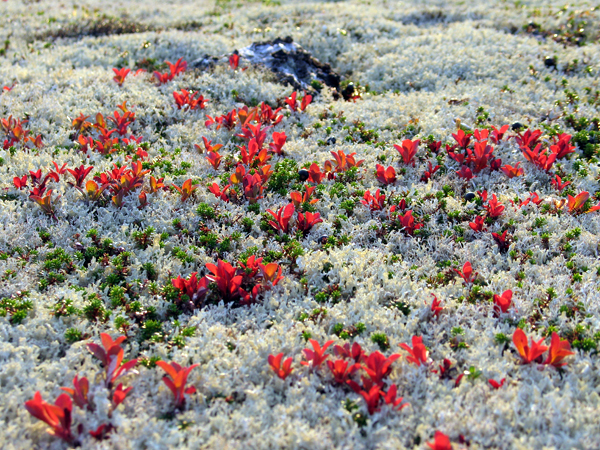 Autumn on the slopes of the Lovozero Massif. Fot. K. Dembicz. 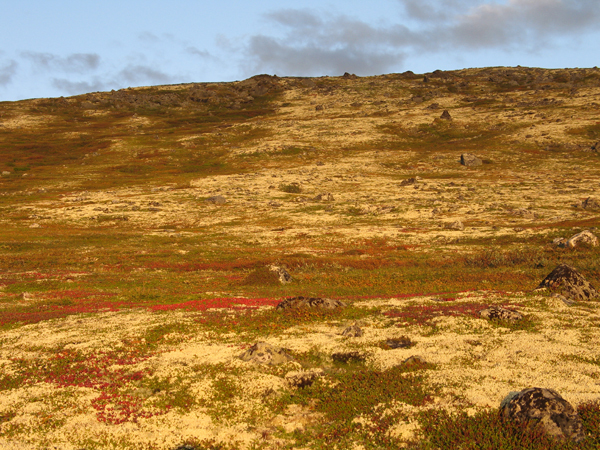 Autumn on the slopes of the Lovozero Massif. Fot. A. Leszczuk. 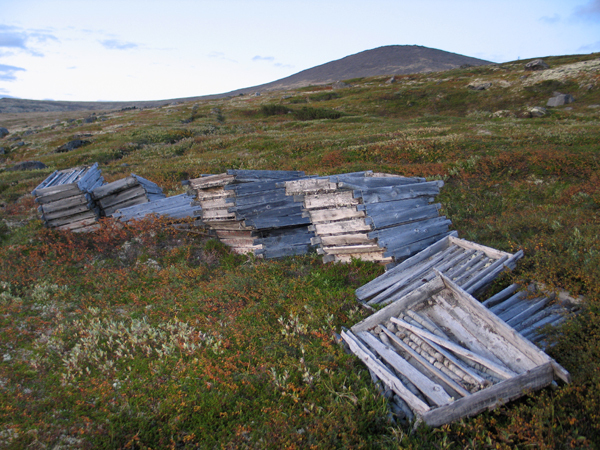 Boxes with drill cores, slopes of the Alluaiv mountain. Fot. K. Dembicz. Setting the camp in a strong wind, slopes of the Alluaiv mountain. Fot. A. Leszczuk. Makeing an attampt to light a campfire using remains of woody boxes left by geological expeditions. Fot. A. Leszczuk. Crossing the top of the Alluaiv mt. Fot. K. Dembicz. 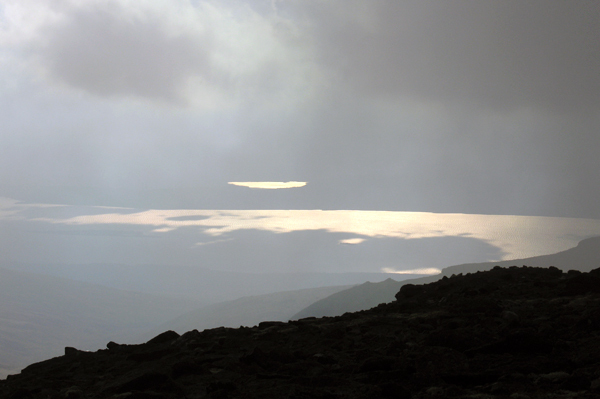 View to the Umbozero lake from the Geologists col. Fot. K. Dembicz. 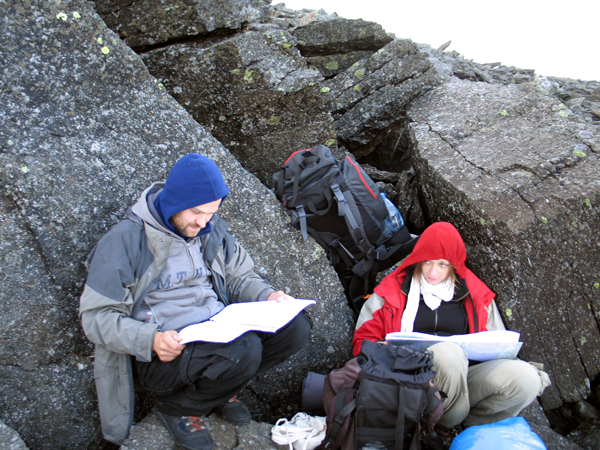 The Geologists col, Lovozero Massif. Fot. K. Dembicz. 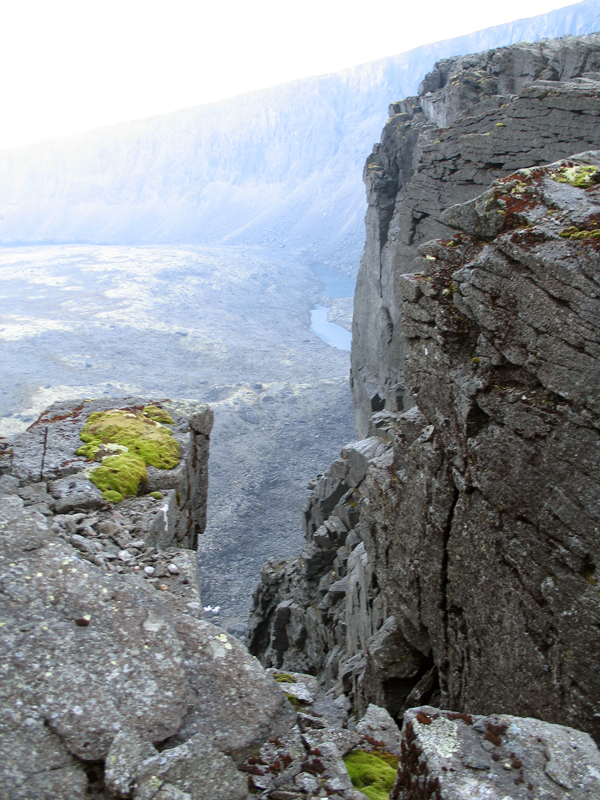 Rock crevice over the Raslaka glacial cirque, Lovozero Massif. Fot. K. Dembicz. 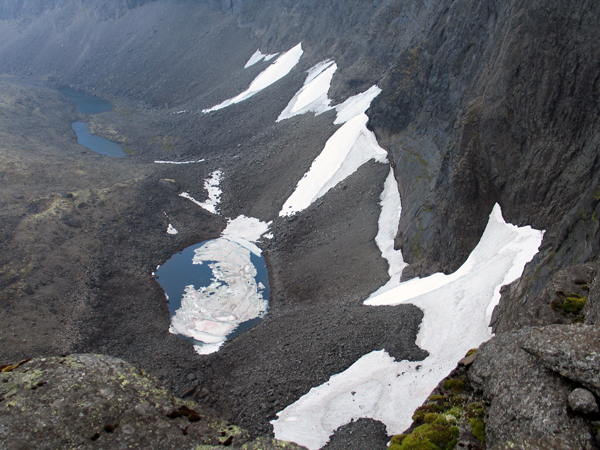 Glacial Raslak cirque. Fot. K. Dembicz. A lake in the Raslak cirque. Fot. K. Dembicz. 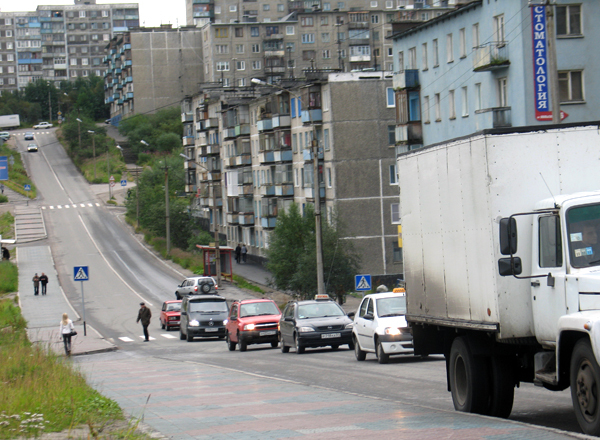 Kedykverpakhk mt. covered with a rock debris. Fot. K. Dembicz. It is extremely difficoult to find the pegmatites described in the literature. Fot. M. Bogucki. 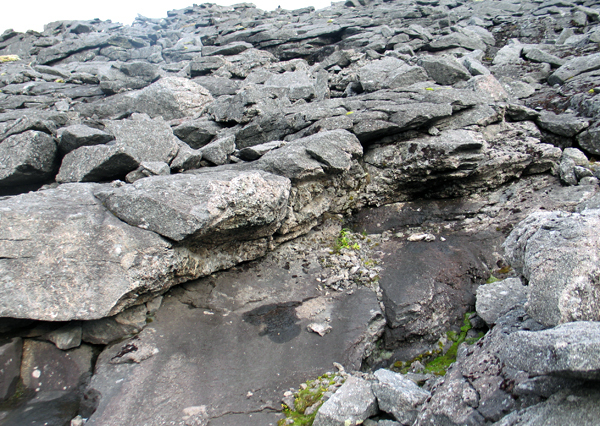 The outcrop of the pegmatite body, Kedykverpakhk mt. Fot. K. Dembicz. 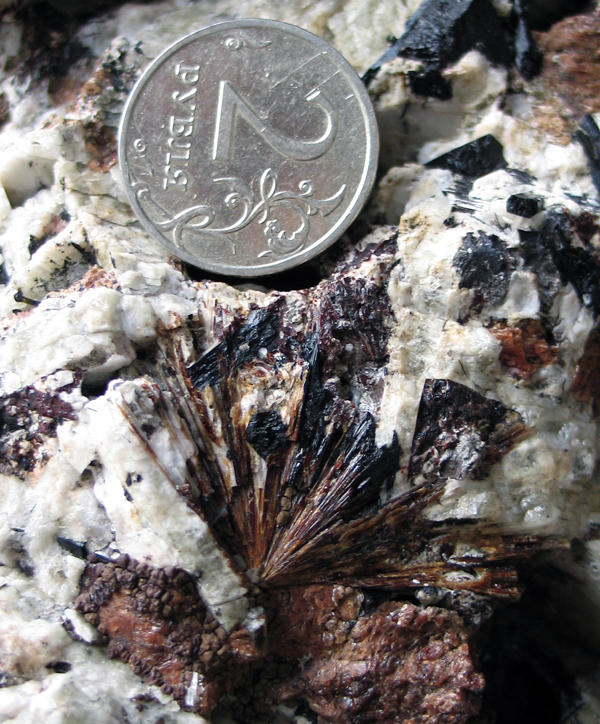 Aegirine stars, Kedykverpakhk mt. Fot. G. Bijak. 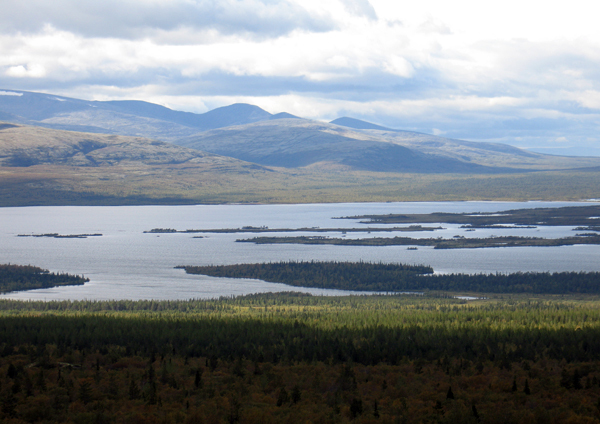 Upper reaches of the Tyulbnyunuai river. Fot. K. Dembicz. Tyulbnyunuai river valley. Fot. K. Dembicz. 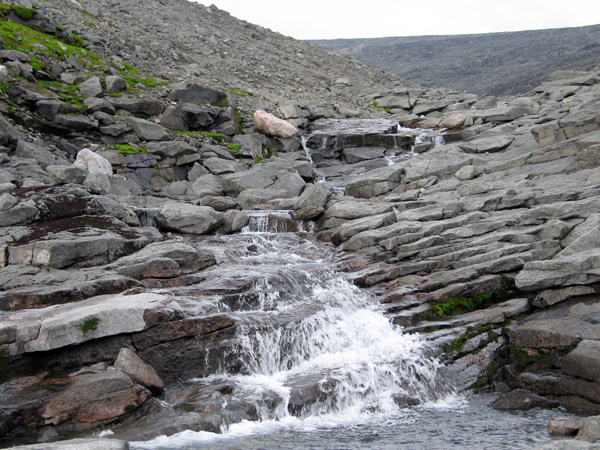 Waterfalls near to the stratified pegmatite, Tyulbnyunuai river. Fot. K. Dembicz. Murmanite from the stratified pegmatite, Tyulbnyunuai valley. Fot. G. Bijak. Waterfall, Tyulbnyunuai river. Fot. K. Dembicz. Pegmatite in the middle part of the Tyulbnyunuai valley, left river bank. Fot. A. Leszczuk. Tyulbnyunuai river. Fot. K. Dembicz. 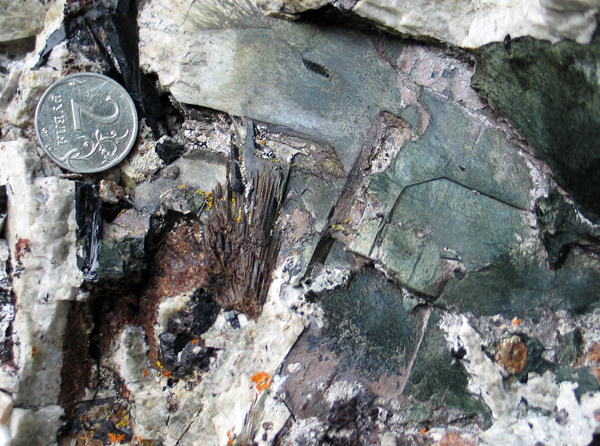 Lamprophyllite, eudialyte, mangan-neptunite and aegirine, Tyulbnyunuai river. Fot. K. Dembicz. Big aegirine crystalls, Tyulbnyunuai river. Fot. K. Dembicz. 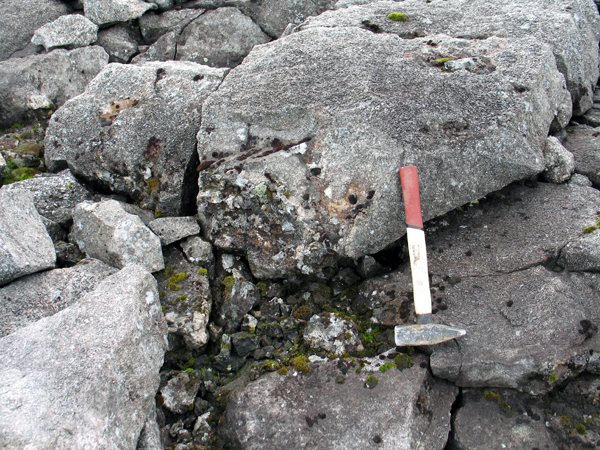 Zone with a product of decomposition of minerals that are unstable in epigenic conditions, Tyulbnyunuai river. Fot. K. Dembicz. Mouth of the Tyulbnyunuai river. Fot. K. Dembicz.